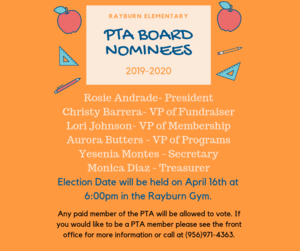 Please come to our Election PTA Night on Tuesday, April 16th @6:00pm. 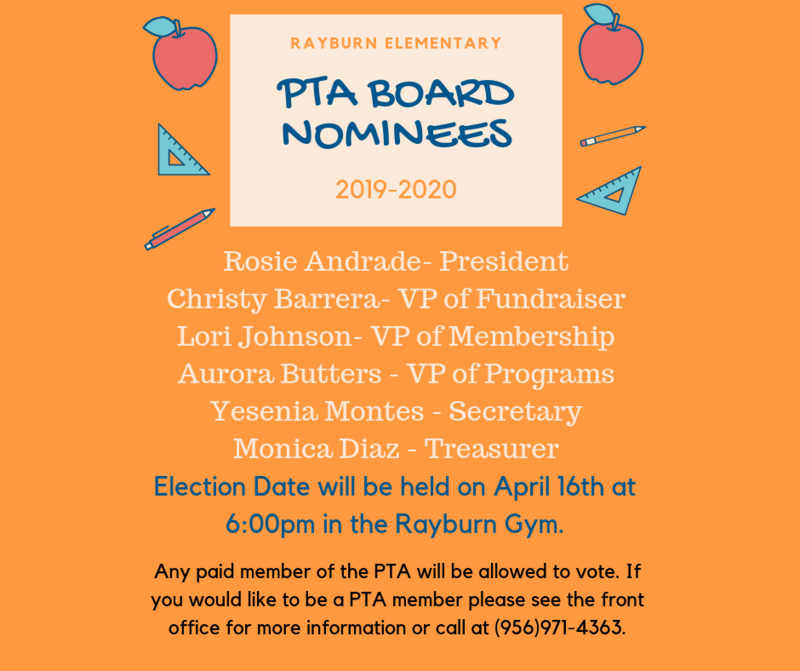 in the Rayburn Gym. Only paid members will be allowed to vote. You may still pay for membership ($5.00) at the front office or at the meeting. Thank you!